AQWA combines top-quality products, extensive knowledge, and industry experience to provide superior wastewater management solutions to clients big and small. From large multi-system commercial projects to single family homes and even public works, we can make it happen, and we've got the track record to prove it. Realize the highest and best use of your property by leveraging a through knowledge of onsite wastewater rules, treatment technology, and dispersal methods. We have helped developers and builders add tens of millions of dollars in equity to their projects by thinking outside the box to remove the limitations of property with no sewer service at the lot line. 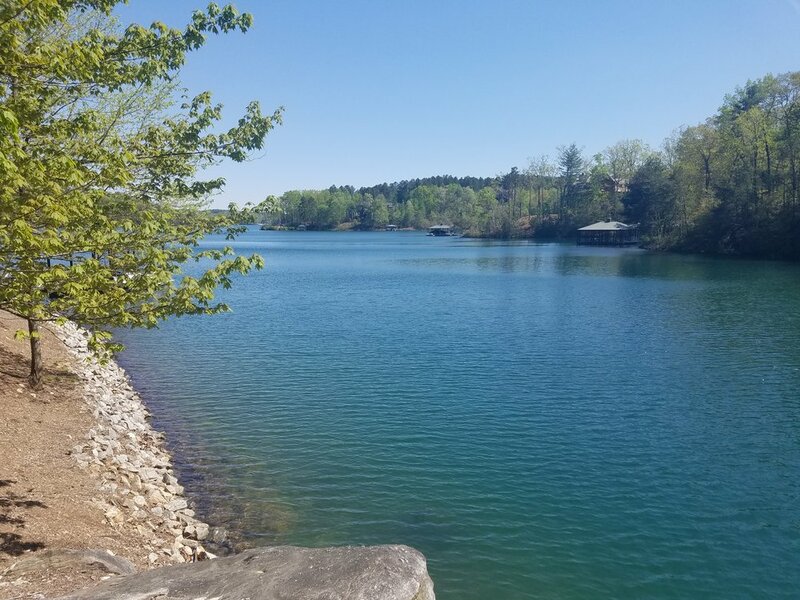 Lakes we have worked on include Lake Norman, Seven Lakes, Hyco Lake, Lake Gaston, Lake Wylie, Lake Glenville, Grandmother Lake, Lake Tillery, Lake James, Lake Hickory, Badin Lake, High Rock Lake, Lake Mattamuskeet, Lake Jocassess, Lake Keowee, Lake Murray, Lake Wateree, Lake Greenwood. The photo above was taken from the shores of a lot on Lake Murray that was denied a septic permit by DHEC and received a 4 bedroom permit with our approach. New home construction on lake lots often benefits from a creative look at how the septic is designed. Many times a property owner can receive a conventional permit from DHEC or the local environmental health department that does not maximize the use or value of the property. We routinely see 3 bedroom conventional lots increase to a 5 bedroom engineered system. Other reasons for an alternative septic system is if you want a pool and a conventional septic system design doesn’t allow for it or if your lot was outright denied for a septic system entirely. Treatment systems and innovative drain field products can greatly reduce drain field footprint, decrease setbacks to the lake, utilize shallow soils, steep sloped and more to help you get the most lots, bedrooms, and best value on the whole for your property. Maybe you have a lake home or lot whose potential is severely limited by the existing septic system. The site pictured right was a (4) bedroom home with a bonus room bedroom that didn’t legally count. The septic drain field was in between the home and Lake Keowee impeding the owner’s ability to construct a pool. Using an AXRT25, we were able to increase the septic capacity to make the 5th bedroom official and relocate the drain field to the steeply sloping, wooded front yard without significant site impact using drip irrigation dispersal. 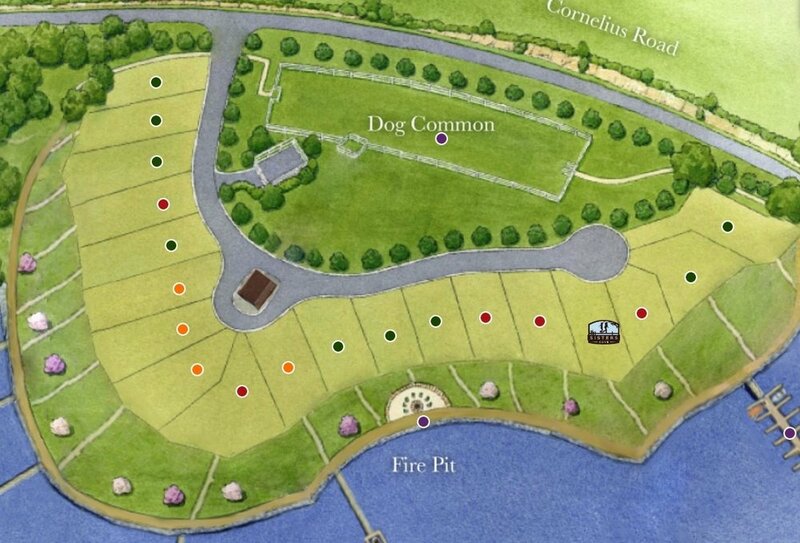 The treatment dispersal area is in the Dog common area in the above picture. More lots on the water plus the septic became a community amenity..
Do you have an opportunity to develop waterfront property for multiple home sites or commercial development? We have helped developers double the number of lots on their projects, restaurants increase seats, country clubs increase membership numbers through innovative approaches to onsite treatment and dispersal. Reach out to Michael or Todd to discuss conceptual approaches, cost per lot ballpark numbers, treatment standards and dispersal methods. These projects always start with a soil evaluation that establishes the minimum layout of the drain field and identifies what technologies will best utilize the soils and topography of the site. We have a network of soil scientists and engineers all across North Carolina and South Carolina with whom we work. The key to remember is that when you hire a soil scientist, you are really hiring a real estate consultant. The verdict that reach concerning your site is going to be the limiting factor for your property. Be sure you hire a consultant that is very experienced in onsite wastewater treatment and dispersal. Contact Michael Clayton - mclayton@aqwa.net or text/call 252-292-1667 and I will help you get linked up with a knowledgeable pro in your area.